As a deck owner, you have one more obligation to maintain and take care of: your deck. One of the scariest moments for a deck owner is when their upper-level deck gets overloaded and collapses under the weight of friends and family. It can be a tragedy that you do not want to experience. 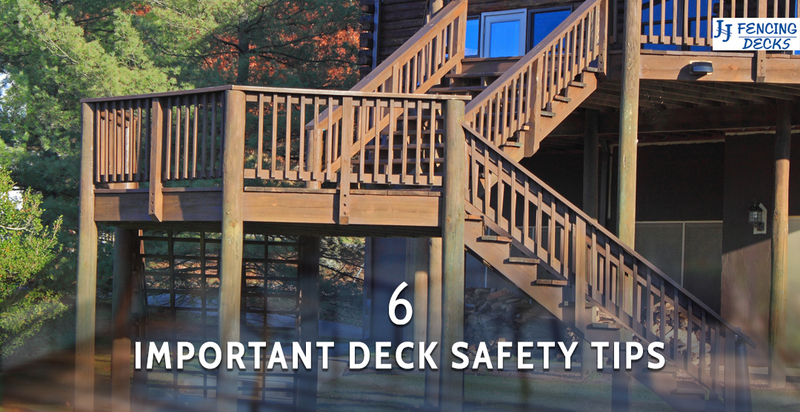 This is just one way remaining aware of deck safety can help. Rails should not be more than 4 inches apart. They should not be “loose” in their place. If you notice loose railings or banisters, you need to address this issue as soon as possible. If your deck feels unstable, or you have yet to check stability every six months or so, you need to make some time for it. The ledger boards (the material that attaches your deck to your home) can rot or become loose, if not installed correctly. Furthermore, check your support posts to make sure they are not loose. Your wood deck should not feel soft, even after a rain. Wood that is soft is at risk for rotting. You will want to address soft wood, whether wet or not — before it’s too late. Take the time to search your deck for rusted, corroded, or missing nails and fasteners. Although one fastener or nail may not do much, the likelihood of more in that area become damaged or removed is more likely. It’s best to replace corroded or missing nails and fasteners as soon as possible. If you’ve had your deck for a few years, get it inspected by a home inspector. This will help you ease some worry. What’s more, a home inspector will be able to look for and find things that you otherwise may have not known to identify. Buying a home? Does it have a deck? Before you sign the purchase paperwork, ask to see the permits for the deck. For most decks, you do need a permit, and if the deck was built without one, you may get caught removing it later down the road. Whether you already have a deck installed on your home or you are about to build one, it’s important what to keep an eye out for. A deck is a sturdy structure you can trust t host events and enjoy time on, but you also need to check it from time to time — just like any other feature on your home. Ready to start a deck build? 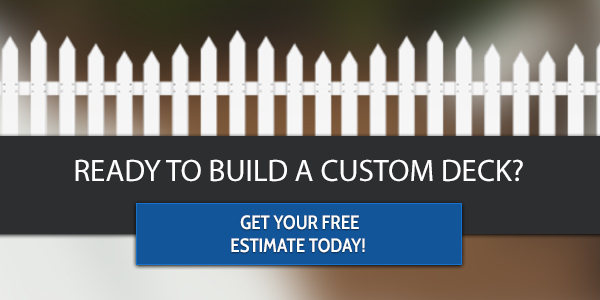 Get an estimate from your local deck installers serving Fort Collins.